Los Angeles International Airport (LAX) is the busiest airport in California, and the 7th busiest in the nation. And by the way, the X in LAX has no actual meaning. In the 1930’s, airports were commonly known by a 2-letter code, in this case, LA. But with the proliferation of airports, it became necessary to switch to a 3-letter code. 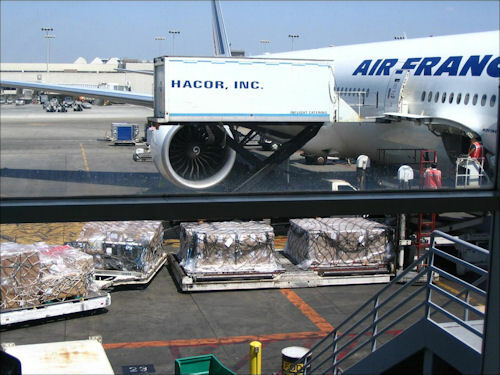 Looking for an Air Freight Quote for Los Angeles? Air freight forwarding agents are always available to discuss your air freight needs. LAX is the 11th busiest airport in terms of its freight traffic. 1.8 million tons of freight passed through LAX in 2008. More than 1,000 flights daily arrive or depart from LAX laden with cargo. And almost 80% of Southern California’s air cargo passes through LAX, with more than half of the freight being international in origin or destination.